Automatically moves to the right position corresponding to the chosen panels. The front and the back of the vehicle are easily cured as the wings can be angled towards the painted surface. 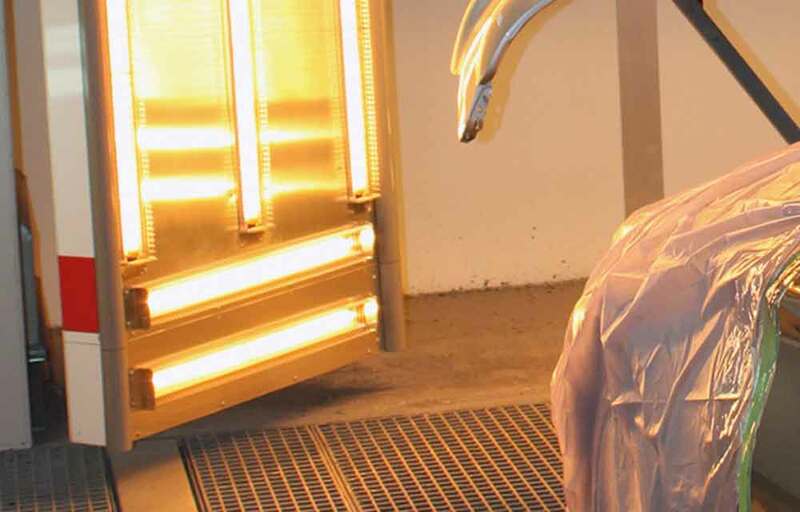 The shape and positioning of the reflectors give an even heat distribution. 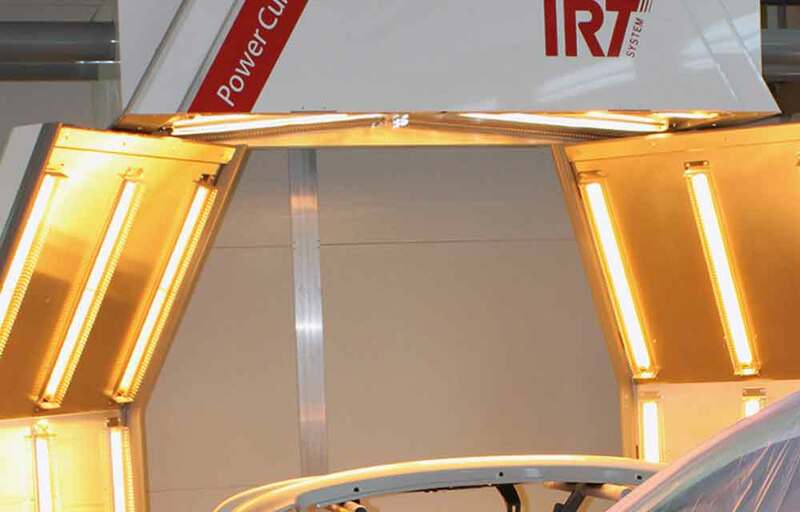 The IRT PowerCure can be installed in a spray booth and between two in-line placed spray booths. 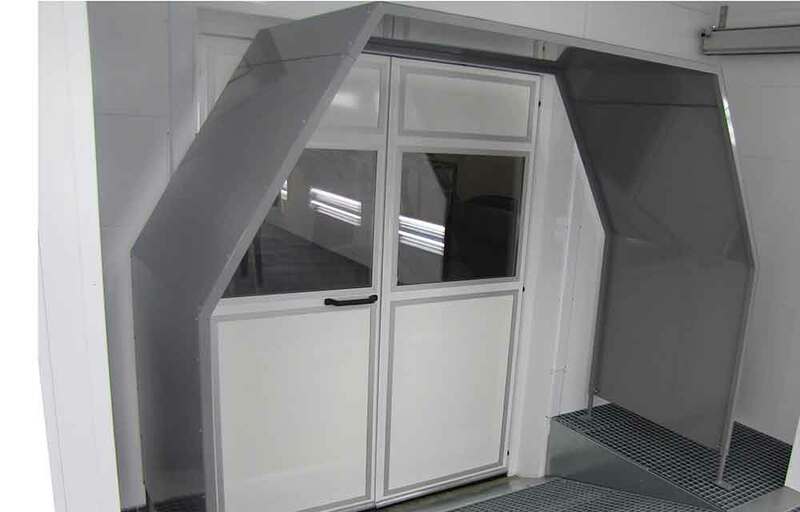 It is easy to adapt to all types of booths, due to the suspension by rails attached to the spray booth walls. 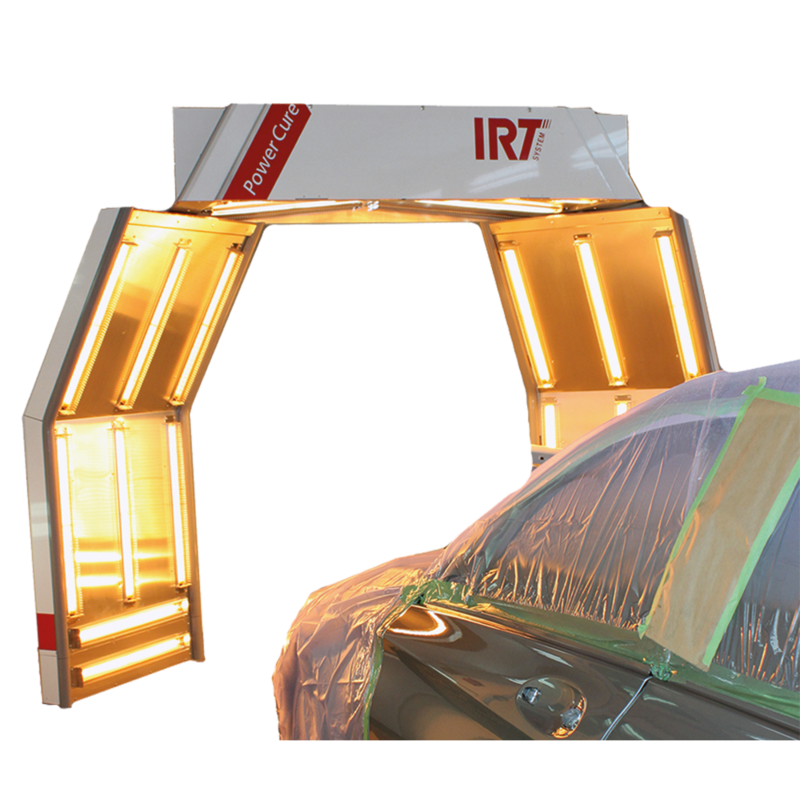 Further the IRT PowerCure is designed to dry 1-3 panels of the vehicle and for loose parts. 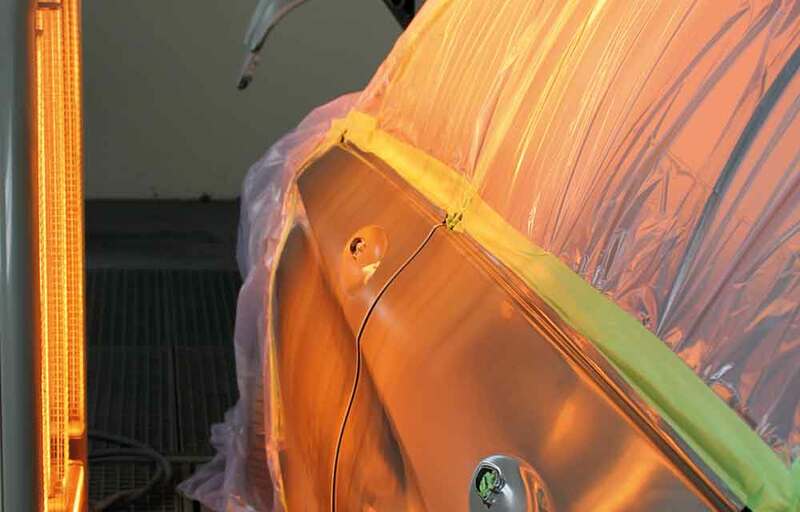 During spraying, the arch can be separated from the spray booth by an automatic roller door. 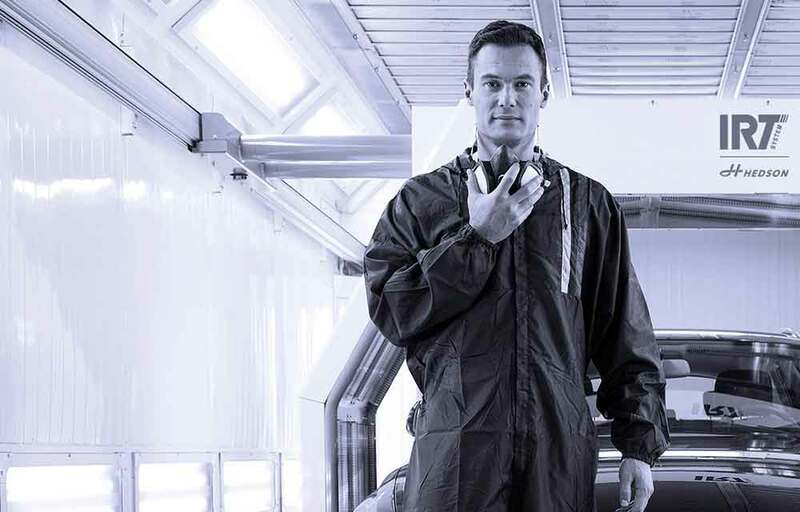 When the painter has completed the finishing job and exits the spray booth he makes a short stop in front of the touch screen operator panel. 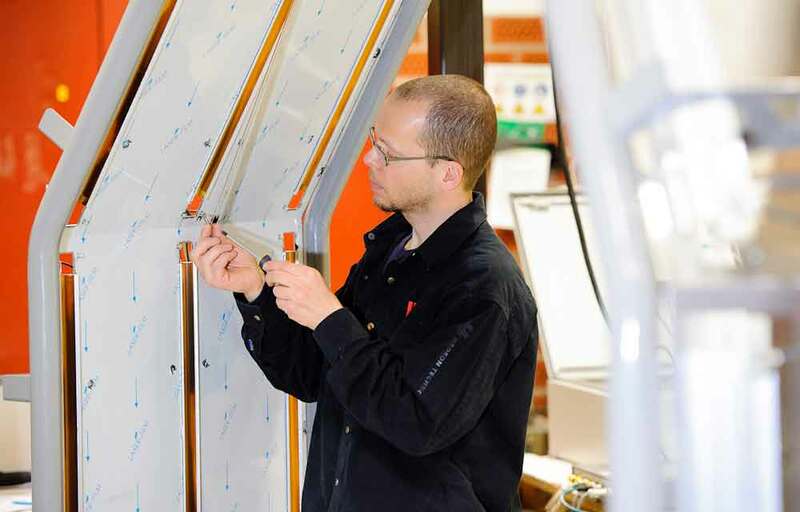 This is where selections of panels to be dried and paint type are done quickly and easily.